When people are on the search for a new home to buy, often they wind up frustrated and tired. Buying a home can be a very exciting time for just about anyone, but the process of trying to find the perfect house that your family wants and needs is typically both time consuming and mentally exhausting. You may find a great home in the perfect location, but with the wrong floor plan, or the one has a great backyard, but the kitchen is too small. There are many times people end up buying a home that they are not 100% satisfied with because it fits many of their qualifications, and the few lacking they feel they can either live without or change. So many times they feel that it would be easy to just knock out the back wall and make the family room bigger. The sad truth is not only are these kinds of drastic changes in your home a huge mess, but they are usually pretty disruptive to your daily living. This is why getting the perfect house plans and building your home to your specifications should be the way to go. There are many companies out there that provide basic house plans you can tweak here and there to create your dream home, but many of them are ‘cookie-cutter templates,’ so it is pertinent that you review your options so you are not ‘settling’. Another option is to talk with a professional that can draw you up exactly what you want, whether it is 4 bedrooms, a huge kitchen with an adjacent laundry room, or a Jacuzzi in the upstairs master bath. You decide how you want your house to be laid out, what amenities you need, and that is what you will get. One of the great things about having a variety of house plans to choose from and customize is that it gets you thinking about what it is you truly desire. There are many times that someone thinks they do not want a formal dining room, but once they see a floor plan with it they change their mind. The important thing to do is sit down with your family and discuss what everyone is wanting in the home. Then look at what is actually needed in the home. While it’s important to get everyone’s opinions to take everything into consideration, you need to look at the long term. After you have discussed what everyone wants and needs, then you want to look to the future and figure out what you will need 10 years from now. Buying a home is not a short term decision, so thinking ahead prevents regrets when the kids are older. You want to ensure that your home is sufficient for a long term basis. The most important thing to consider when building your home with house plans is your budget. There are too many people that end up building more houses than they can afford. While it is very important that you are completely happy with what is a life time purchase, you want to make sure that you are able to pay for it, and live comfortably within your means so you don’t risk losing your dream home in the event of a layoff or illness. If you are interested in looking at house plans for your build, then please check out the extensive selection and customization options we have here at Monster House. This entry was posted in House plans on March 26, 2013 by HouseplanGuy. Many people today are opting to design their own homes, rather than buying existing houses that are on the market. This can be a fantastic idea and a very rewarding process; however, before you jump into the decision to design your own home, you must decide if it is truly worth it for you to do so. Many people opt to design their own homes, and still end up with the type of vinyl sided, split-level, stainless steel applianced home that you can buy in any new subdivision, often at a lower price than what you would pay to build. If you choose to build a home, think about what you can do to make it worth your while. Designing craftsman house plans is a great way to make the designing and building process worth your while, and will leave you with a home that truly stands out from the rest. Craftsman house plans contain a few key elements characteristic of the craftsman house style. Simple, traditional materials are often used on both the outside as well as the inside. Materials such as wood (often raw, unfinished wood that offers a rustic charm) and stone are found throughout the house. These materials give the home a natural, earthy feel, but also a timeless one that always outlasts home decor trends and fads and really stands the test of time. In fact, that timelessness is what makes craftsman house plans so special, unique, and worthwhile. Craftsman homes have a special feel to them and will always be remembered by those lucky enough to visit you in your home. Craftsman homes are never out of style, but never seem to be super trendy either, so by building one, you are truly bestowing a quality of timelessness on your home. The interior structure design of craftsman house plans is often simple too. Rooms are large and simple in shape. There is generally no complex split leveling; maybe just one upper loft area for bedrooms or an extra sitting area. Ceilings tend to be high, sweeping, and majestic, giving craftsman homes a distinct feeling of openness and airiness. Many people find this comforting, especially in urban areas where living can feel cramped and disconnected with nature. The openness and natural quality of craftsman homes is a unique and positive experience. It is a great place to escape to without ever having to leave the city! Despite all the conveniences of living in an urban area, there are some downsides. Having a home that looks just like everybody else’s on the block can be disheartening and might not make you feel like your home is special or even truly your own. Designing craftsman house plans is a great way to make the most of the experience of designing and building your own home, and will result in a timeless, beautiful home that will stand the test of time. A craftsman house is one that truly becomes a home, and will stay that way for many years to come. This entry was posted in Craftsman House Plans on March 26, 2013 by HouseplanGuy. Moving into a new home is an exciting time especially when you have designed the floor plan for the home yourself. Deciding between building and buying can be a tough decision, and anyone who has ever designed a home and had it built for them knows it can be a lengthy process, and unlike buying a home, there is no instant gratification. However, it always works out to be the most satisfying possible experience and the home is one that will be special to you forever, no matter how long you live there, as long as you are willing to put a lot of time and thought into designing the house floor plans. When it comes to getting the plans designed, one of the biggest issues many people face is how to use their designated space. When designing a home, you generally already know the lot size of the property, and therefore have an idea of roughly how many square feet you will have to work with. However, there are endless possibilities when it comes to what to do with all of those square feet. House floor plans can take a number of different shapes, and the first question you need to ask yourself is whether you want an open concept home, or one with a little bit more separation between rooms. Both have their pros and cons, so you need to decide which style of house floor plans suits your family and lifestyle best. Open concept homes can be a great way to bring the family together. There is little to no separation between the kitchen, Great room, and dining area, so while you are getting dinner ready, you can also be watching a football game on television, or chatting with your kids as they play in the Great room. An open concept home is great for people love to entertain, but in a more casual way. If you like your guests to make themselves at home, and feel helping themselves to drinks and snacks, it’s nice to have your entire main living area connected as one fluid unit. It also allows you to visit with guests in the living room as you clean up after a meal. Open house floor plans are easy, comfortable, and casual. Some people love to entertain, but prefer to do so in a more formal way. For these people, house floor plans that offer separation between rooms might be a better option. You can serve guests in the dining room without them seeing the preparation area in the kitchen. This is also a great way to hide a pile of dirty dishes in the kitchen sink! A separate kitchen and living room also helps you to relax in the living room, as you won’t constantly be looking into a room that you associate with work. Whether you choose to go with a more traditional, separate-room concept or a modern open concept, designing your own house floor plans gives you the freedom to have the house of your dreams. It might take a bit longer than buying a ready-made house, but it will be worth it in the end! This entry was posted in Floor Plans, Home Floor Plans on March 26, 2013 by HouseplanGuy. New empty nesters often experience sad days when their last child leaves home. However, once the initial shock wears off, the realization hits them that there is a whole new world to discover. Hobbies and travelling they have missed out on because of time or finances. 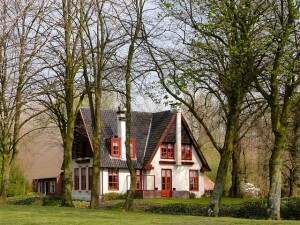 As well, they often think about downsizing and building a smaller version of their dream home. Then the search is on for small house plans. Although this step of looking at plans for a smaller house feels uncomfortable at first because for a large part of their life, the big family house was the base for their children and them. They eventually realize that the house is too big and less noisy making it feel a little lonely. Trading in the family home for a more efficient smaller home shouldn’t ever be thought of as trading down. Small house plans offer more space quality and practicality. Their new, smaller dream home will take them through the rest of their lives in comfort. There is no longer a need to feel that life as they knew it is over. Instead it is an exciting beginning, especially since with small house plans they can have a say in all aspects of the home before it’s built. This can become one of their new hobbies. The empty nesters can look at homes with less bedrooms and more space for relaxing and entertaining. When designing their new small house plan, they can also add luxurious touches, if they choose. However, no matter which direction they want to go, they should consider storage, maintenance, practicality, kitchen and master bedroom size. Materials for small house plans are generally cheaper because less brick or wood is needed. As well it doesn’t need as much land to place it on. 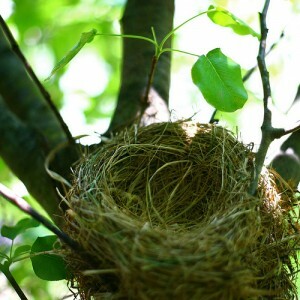 Empty nesters can also search for a plan that is close and then discuss the possibility of modifications. One challenge empty nesters face is getting rid of stairs. With aging it is important to think about the practicality of stairs. Small house plans can have a basement, or no basement and one or two floors. Bungalow and cottage plans are very often two story so this sentence doesn’t apply. Another factor to consider with a small house plan is whether to get a traditional, or open house plan. This can take a while to decide, particularly, if both parties can’t agree. Some empty nesters like having the master bedroom separated from the other bedrooms with a traditional plan; while others don’t. When empty nesters are ready to start their new lives and think about building a cosier and smaller home, they have a lot of exciting things to think about. Although the transition is sometimes difficult, once they start planning their dream home, it gets them excited about the future. If you just found yourself childless, now is the best time to start looking at small house plans, to see what your next dream home will look like. 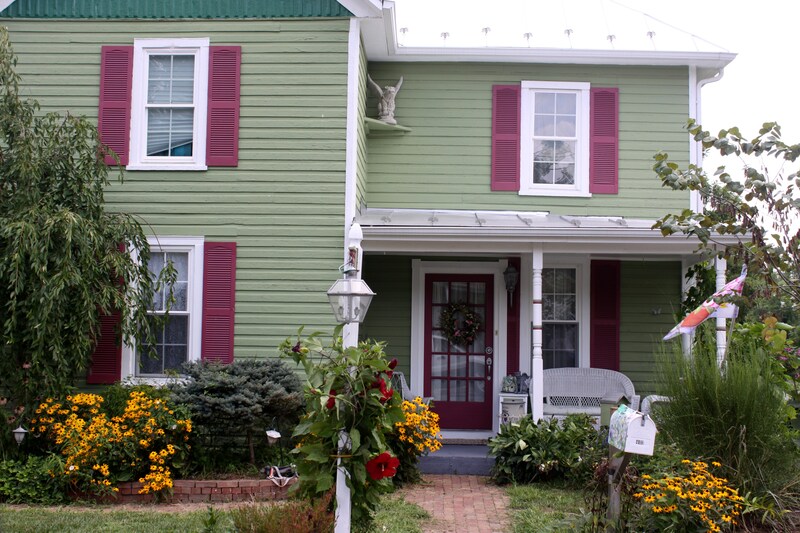 This entry was posted in Small House Plans on March 26, 2013 by HouseplanGuy.